Ever come across this warning of “You’re linking to another page with the focus keyword you want this page to rank for“? If you are using Yoast’s SEO Plugin either the free version or Pro version, then you might well come across this error message. Whilst it is not the end of the world if you do this, but if you are anything like me, little errors will continue to bug you until you resolve them. It’s a bit like the WordPress message saying that you need to update a plugin and you say to yourself, oh I must get round to doing that! I don’t know how many pictures or videos I have seen from “SEO Experts” that show that plugins need updated in the background! It’s always a good idea to update plugins immediately, for security reasons as well as performance benefits. “You’re linking to another page with the focus keyword you want this page to rank for. There are 2 possible reasons for this error. one is that you are using an exact keyphrase on a page or post that you have on another page or post. Obviously there is absolutely no advantage in doing something like this and in fact it will cause some harm, as the two pages or posts will compete with each other, which is like a revolt within the ranks! The other reason is that you have a keyphrase with an internal link to another page with exactly the same keyphrase. This has happened to me on occasion when I used the plugin Custom Menu Wizard to insert a short-code on the bottom of certain pages/posts to display linked pages/posts. The problem was, not only did it show the page/post titles and links of the related pages/posts, it also displayed the page/post title and link of the page/post it was shown on, which is not so good. Deserves me right for being too lazy to do manual links connecting suitable pages and posts! Well, thanks for reading the article You’re linking to another page with the focus keyword you want this page to rank for. 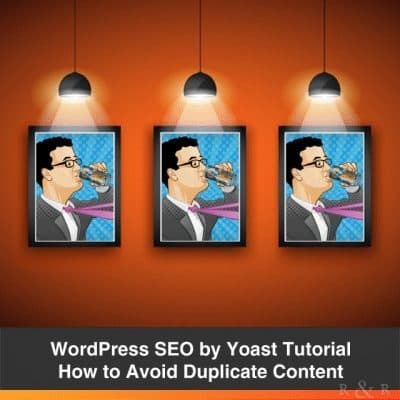 You might also like to read Be Careful How You Use Yoast Internal Linking Suggestions and Delete Yoast SEO WordPress Plugin.